Yankees Back Over .500, What’s Next for the Bombers? By now, followers and fans of the New York Yankees should understand one concept more so than any other when it comes to evaluating this team. It is a concept that has been put the test multiple times this season, in that every loss is the end of the world, every win over the Angels means the team has to now end the year hoisting the World Series trophy, and finally that every stretch of consecutive wins is only setting us up for future disappointment. However, where are the Yankees actually going to go from here? On the surface, 5 wins against 2 of the bottom-feeding teams of the American League is nothing to get overly excited about. Playing at home, New York’s power numbers are sure to go up as the right field porch beckons for baseballs to be launched through the summer nights into its bleachers. However, that certainly works both ways, and the Yankees’ pitching has continued to stand out. In the four game sweep of the Angels, Masahiro Tanaka got things started with 7 more sharp innings of 2 run ball. Michael Pineda was anything but perfect again, but his efforts in game 2 allowed Betances and Miller to do their thing – backing up 6 runs of offense provided mostly by Carlos Beltran and Starlin Castro long balls. Surprisingly, Nathan Eovaldi had the worst start of the series for the Yankees, and still managed to escape with a no decision. Without using Betances, Miller, or Chapman, the Yankees were able to piece together the game on the mound thanks to two home runs from Chris Parmelee and three more runs batted in via Beltran. Can we play the Angels every day? The brooms were brought out in this series when Ivan Nova, and the bullpen’s big three, allowed just eight hits in a 6-3 New York victory. Behind Nova in the rotation was tonight’s starter CC Sabathia, who has to be the feel-good story of the year for this team.
.@CC_Sabathia’s ERA since 5/1? 0.71. 2nd-best ERA by AL starter in that span? Rich Hill’s 2.13. Getting back to the question at hand, which is essentially whether or not you should buy into the Yankees winning ways, the answer lies with the pitching rotation. Undoubtedly, this team is going to hit another stretch at some point where Carlos Beltran cools down, along with the likes of Brett Gardner and Chase Headley. I do have more optimism for players like A-Rod and Jacoby Ellsbury to start to produce much more consistently. However, nobody in this lineup gives me nearly as much hope right now as anyone in the rotation. Tanaka has been everything the team expected this season, and a good Nathan Eovaldi is just as hard to beat on most nights. While most teams would be happy to stop there with their rotations, the Yankees have the luxury of handing the ball to guys like Nova and Sabathia right now, and potentially Luis Severino sometime soon. Make no mistake that it is absolutely a luxury for Joe Girardi to have these guys in his rotation at the moment, pitching with confidence in the mindset that five or six solid innings will put you in line for a win thanks to the dominant bullpen. I’m cautiously optimistic, but the 31-30 Yankees are just 5.5 games behind the Orioles in the AL East – with two more games against the Tigers coming up before 11 straight against the Rockies and Twins. The time for this team to gain confidence is now, and they are doing so while finally showing some sustainability. 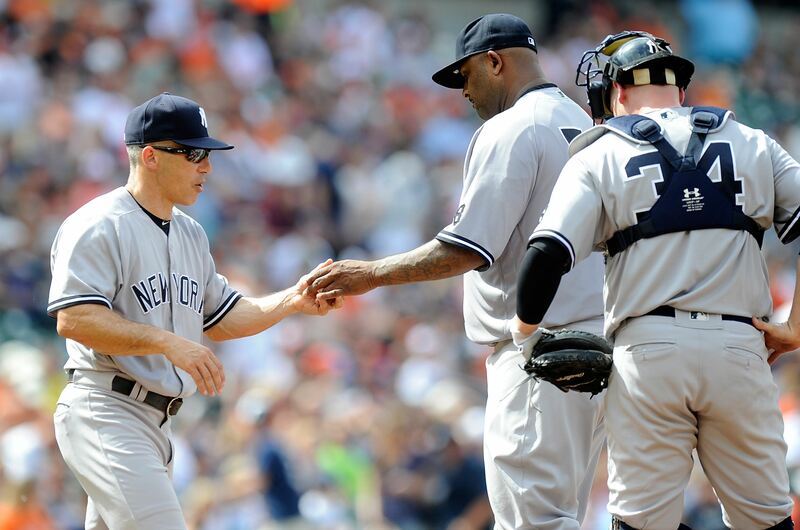 Feel free to comment away with your thoughts on the Yankees current winning streak! You can also find me on Twitter @ShoreSportsNJ!